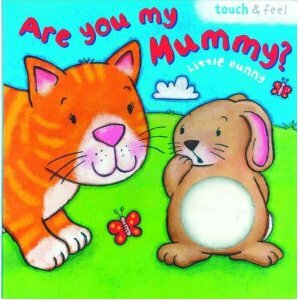 Book – Are You My Mummy? For a book to become truly great literature, it must in some way connect with its audience. All of the greatest books manage this on some level – whether it be Catcher In The Rye, Harry Potter or any other great novel. This is the first way that Mr Bunny goes wrong in this, his debut novel. The basic premise is thus – a young rabbit approaches several different animals and asks them if they are its Mummy. After having been rebuffed, the rabbit then approaches another animal and the cycle continues until – spoiler alert – his Mummy is located. Even leaving aside the monotony of the many similar meetings, which it should be noted does not make for a suspenseful novel, the book finds a failing in that the lead character is quite obviously incredibly stupid. On his journey, the rabbit encounters animals such as a cat, and a cow. In turn he asks each of them if they are indeed his Mummy. Now, it is difficult to understand how our protagonist can fail to understand that not only are these beasts unlikely to be his Mummy, but furthermore, as a separate species, are entirely unlikely to even be related to him. This raises some uncomfortable questions, such as the possibility that he has never met his Mummy and is working through some abandonment issues. The other possibility is that Mr Bunny is using his main character’s questions to explore the idea of what a Mummy is. Is he saying that in some ways, a cat could be your Mummy? Unfortunately, I found little of literary merit to this book. Its prime redeeming feature seems to be that the rabbit has a furry tummy which is touchable on each page. Whilst I must admit to spending several minutes doing so before reading on, I don’t know if this is true justification for the inclusion of this into our world of reading. Maddie will have to up her level if she intends to recommend me anything else, although I have high hopes for the copy of Each Peach Pear Plum that she has lent me. A classic review that has excited my interest while exploring the deeper meaning of what it means to be a Bunny. I am fortunate to be able to avoid this literary work, as I am over the age of 10 with no children of my own, bunny or otherwise. Keep up the good work, reading books so that I don't have to! I like he idea of roll reversal – most books of this genre have the Mummy searching for the missing offspring – this is a truly unexpected twist. I have also borrowed this book from the above mentioned young lady and would rate it at least a 5.